DIRECT SEEDING had its start in 1990 soon after no-till seeding equipment was first introduced in Australia. Darryl Hine searched for no-till equipment that would stand up to the demanding conditions on WA’s south coast where he and his brother sowed a mixed cropping program on their properties each year. Darryl located K-HART Industries in Saskatchewan Canada who were producing rugged, dependable double disc seeding equipment. A K-HART air seeder bar, equipped with double discs, coulters and press wheels was purchased, shipped to Australia and assembled on farm. The K-HART system was strong, easy to operate and required little maintenance. In the very first season, the K-HART proved its value. The resulting germination and yields were good. Very good. The following year, DIRECT SEEDING was formed and K-HART equipment was imported for sale. Having had a peek over the fence, district neighbours were the first to get on board. Their results were excellent too. DIRECT SEEDING joined the annual circuit (or should we say circus?) of machinery field days in WA and SA. 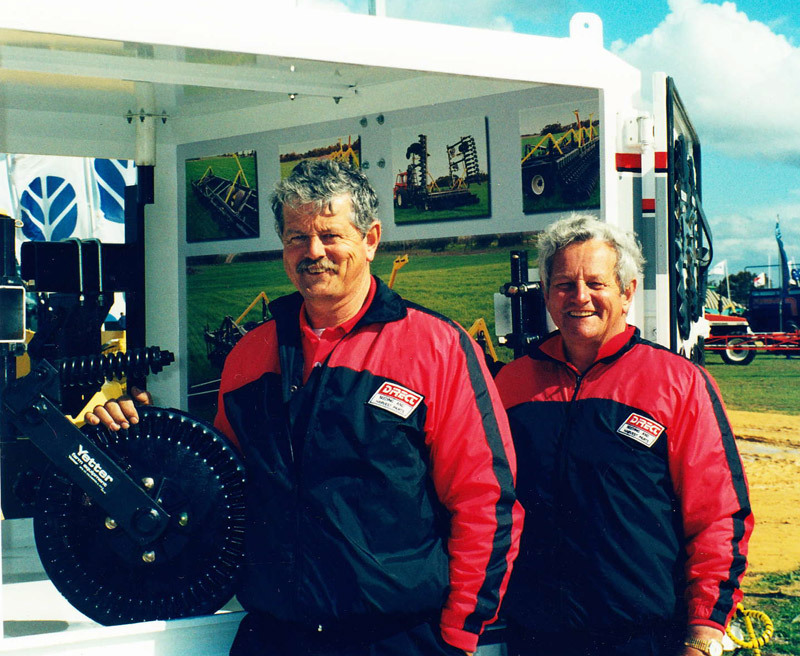 Soon K-HART equipment was planting hundreds of thousands of hectares in Australia each year. Nearly every single K-HART system purchased over the past 20 years is still out there, putting in the crop with consistently good results. Yetter Manufacturing components were added to the product line, offering new options in coulters. Eventually, the machinery business overtook farming and DIRECT SEEDING relocated to Albany WA. Although we believe in double discs, we had to acknowledge that when a farmer wants a tyne machine, they want a tyne machine! We set about finding a precision tyne system that would meet our standards – durable, low maintenance and easy to adjust. We found the perfect tyne here in WA. With precision seeding modules, hydraulic tynes, hydraulic coulters, press wheels and bridge frames manufactured by OptiAg, we can now offer farmers even more options for their seeding programs.